*Some products featured were received in consideration of inclusion and are noted. All opinions my own. The best way to jump-start those creative juices within your kids is arts and crafts. Every child has a desire to utilize their imagination and as parents, we can help encourage that. There are many arts and crafts gifts for kids on the marketplace today. All you have to do is find the one they will love! Here’s our top contenders! 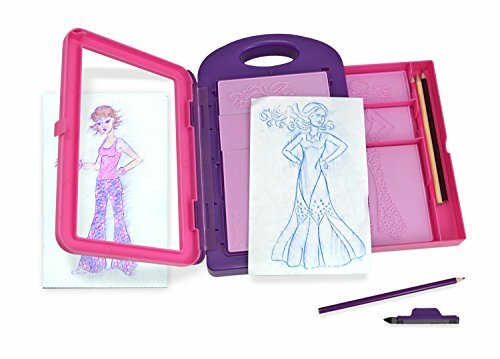 Make a young artists dreams come true with this fun Paint Your Own Expressions kit, from Mindware, that spells out WISH. Each porcelain piece measures 5 inches tall and the complete kit includes 12 paints and 2 brushes – one wide brush for quick coverage and one thin brush for creating details. Paint Your Own Expressions: Wish received in consideration of inclusion. The designer at heart will enjoy creating countless fashions with these rubbing plates from Melissa & Doug! Sew Mini Craft Kits: Set of 2 received in consideration of inclusion. 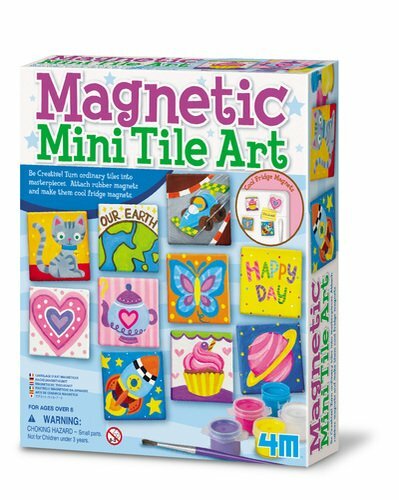 This magnetic tile art set includes tiles, magnets, a paint strip and brush. Tiles are 2 inches by 2 inches and are ideal for decorating the refrigerator or locker. The Friendly Fox Latch Hook Kit, from Mindware, is ideal for beginners. It contains 3,750 strands of pre-cut, 2-ply wool yarn, a canvas backing printed with easy-to-follow grid lines, a design stencil, a wooden-handled latch hook tool, instructions and a handy zippered carrying case to hold in-process projects and supplies. Friendly Fox Latch Hook Kit received in consideration of inclusion. 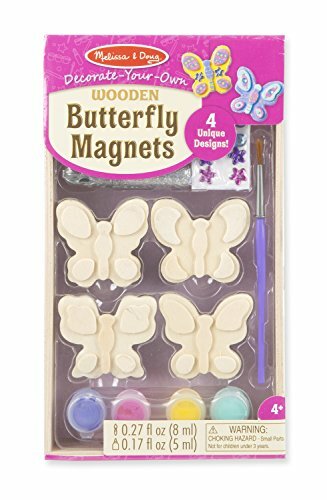 This fun butterfly set has all the supplies to create four unique butterfly magnets, including preassembled wooden magnets, paints, stickers, plastic gems, glitter glue, and brush. This Pom-Pom Rug Kit, from Mindware, includes everything you need to make enough pom poms to make a 16″ x 12″ rug! 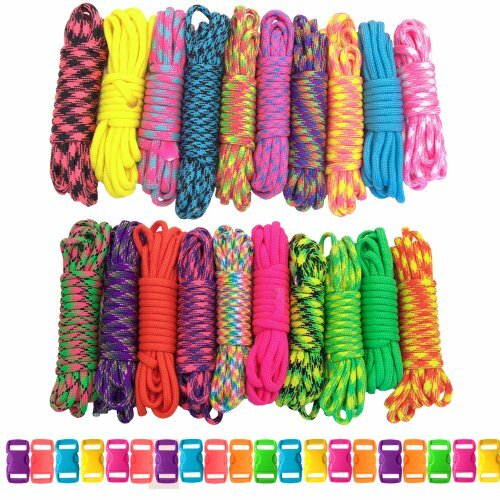 It comes with over 1,000 yards of yarn in lime green, turquoise, magenta, red, orange, yellow and white, a mesh canvas backing, a pom-pom maker, easy-to-follow instructions and a design guide. Follow the pattern shown, or create your own signature look. Pom-Pom Rug Kit received in consideration of inclusion. 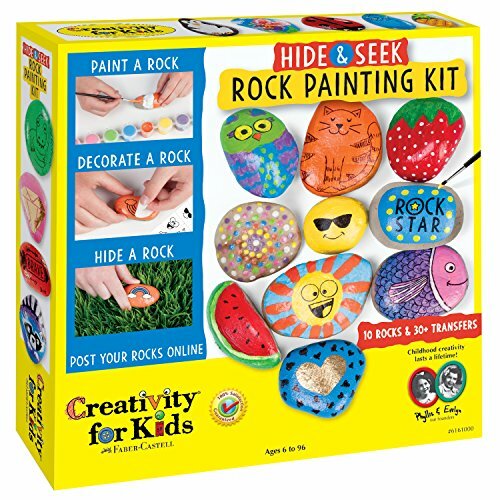 Join the rock painting craze with this fun kit. This kit includes stones, 8 waterproof paint colors, transfer designs and tracking stickers! It has 10 rocks and over 30 transfers! 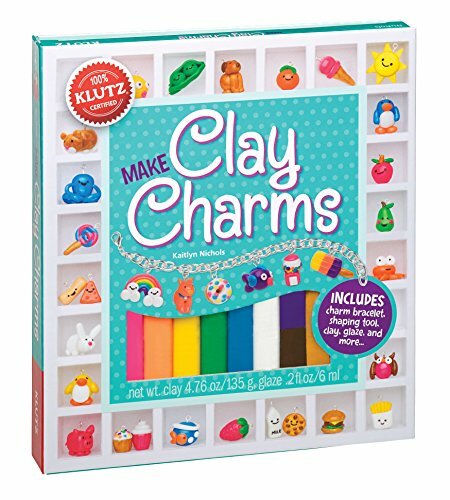 This clay charm kit comes with 9 colors of clay, charm bracelet, clay shaping tool, glaze with brush applicator, jump rings, charm loops, drying and display stand, and a 60 page instructional book with Klutz certified crystal-clear instructions! 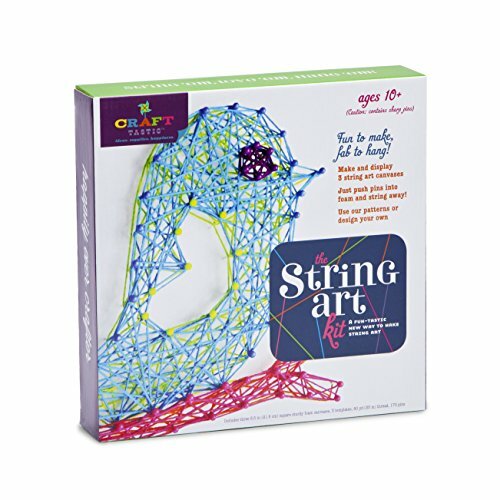 This string art kit includes 3 string art canvases to make a bird, starburst, and “fun” designs, or create your own designs. It has 3 different 8.5″ sturdy foam canvases, 3 templates, 60 yards of thread and 170 pins. Kids love Sand Art projects. Choose from a wide variety of Sand Art Crafts at Oriental Trading, including heart shaped pendants, start shaped keychains, and wavy bottles! 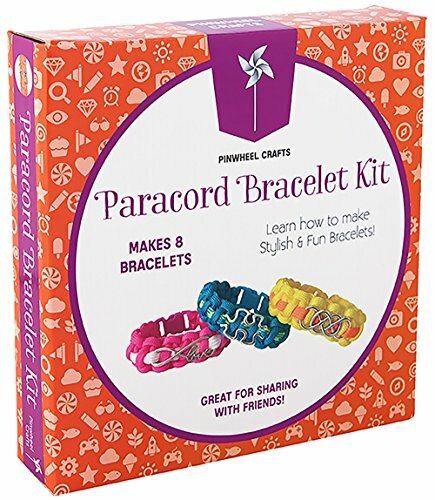 Set them up for hours of bracelet making fun with paracord! 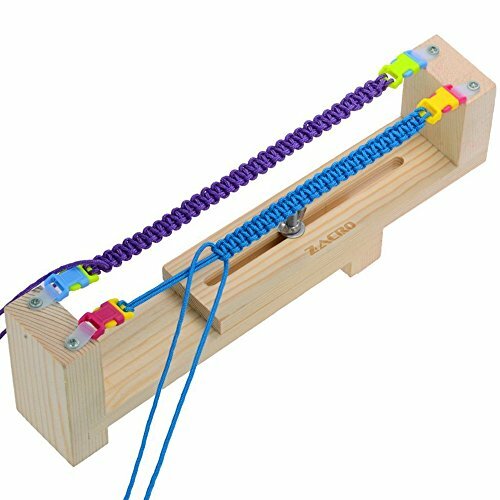 Kids and teens alike will enjoy crafting their own bracelets for themselves or for gifts! The combination of using art activities and craft kits for kids is a great way to expand your child’s mind. When you open your home to having more art and craft activities available to your kids, you are opening a large world of creativity. 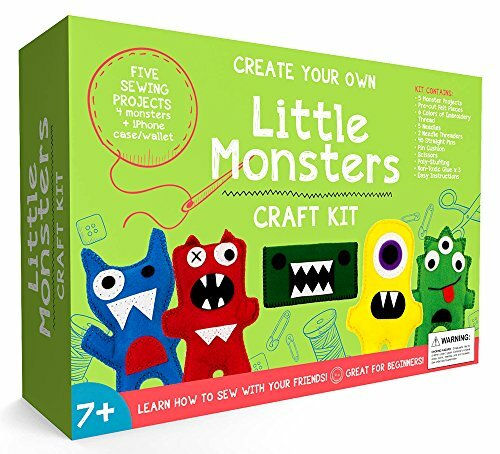 A kid who enjoys arts and crafts should have a wide range of activities and kits at their fingertips. Each of these art activities and craft kits for kids will surely work well for any home. While you’re here, be sure to check out my STEM Stocking Stuffers and The Ultimate STEM Gift Guide posts! Want to see even more give guides? Check out the iHomeschool Network Bloggers Gift Guides when it goes live on 11/20/17!